Say goodbye to ultra-low mortgage rates. 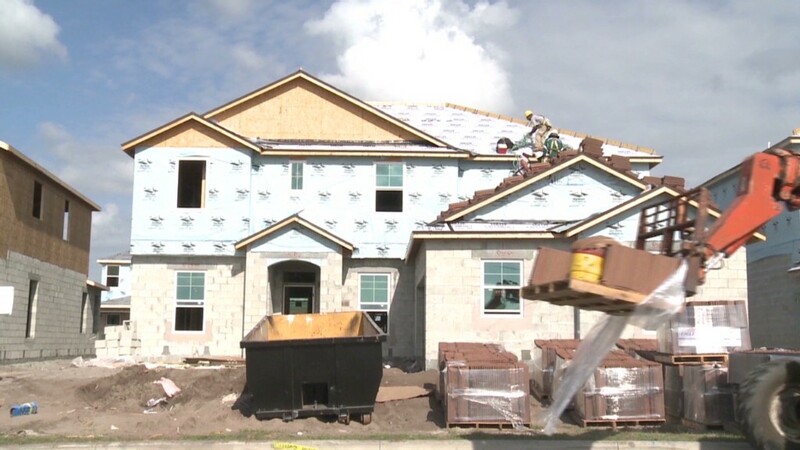 In the past month, rates have been on the rise and they are expected to continue to climb. This week, the average rate on a 30-year fixed-rate mortgage jumped another 10 percentage points to 3.91% and are up from 3.3% in early May, according to mortgage giant Freddie Mac. Meanwhile, those seeking a 15-year loan received an average rate of 3.03%, up from 2.56% -- a record low. "It's unlikely that rates will ever be that low again," said Doug Duncan, Fannie Mae's chief economist. Those who didn't take advantage of record-low rates have missed the boat -- at least for now. Here are three reasons why. The Fed is going to stop bolstering the housing market. The Fed has kept rates at rock-bottom levels by buying up to $85 billion a month of Treasury bonds and mortgage-backed securities. That has enabled lenders to sell mortgage loans at low interest rates and recoup their money immediately -- plus profits. "Up until recently, expectations were that the Fed would begin to taper purchases of mortgage-backed securities (MBS) and Treasury bonds late in 2013, but that timeframe appears to have moved to September, possibly sooner," said Keith Gumbinger, vice president of HSH.com, a mortgage information company. If the Fed stops purchasing the securities, private investors will have to pick up the slack. For investors to do that, the loans will have offer a better payoff. And that would mean raising rates for borrowers, said Duncan. The economy is no longer reeling. During the recession, the Fed lowered its short-term interest rate to near zero in order to stimulate the economy. But now conditions have improved considerably since the economy emerged from recession four years ago. As the economic revival gains traction, it is creating a tailwind for interest rate increases, according to Gumbinger. Low rates happen when the economy is in distress. But now, the market believes the economy is getting stronger, said Wendy Cutrefelli, a vice president in the Mortgage Banking Division of Bank of the West. Quiz: How much do you know about mortgages? Job gains have picked up lately, averaging about 202,000 a month over the past six months. That hiring is advancing rather than retreating is good news for the economy and any positive future reports are expected to push rates higher, according to Gumbinger. Even mediocre news might not cause any meaningful decline in rates. 3.3% rates are unprecedented. 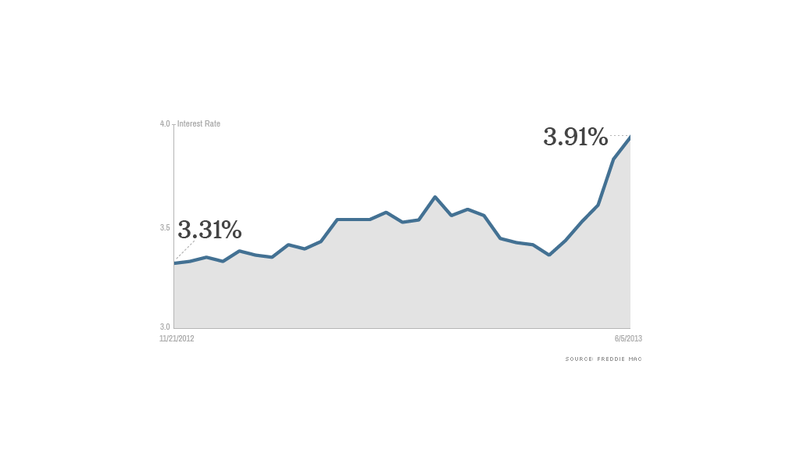 "The 30-year [mortgage rate] hit a 37-year low in 2003 at 5.23%," said Gumbinger. "That was the previous low-watermark prior to this financial crisis and it's likely we will move closer to that mark as we grind forward." Any return to normal conditions, therefore, will likely be accompanied by higher mortgage rates. Even if they go up a percentage point or two, however, mortgages will still be relatively low. Historically, 30-year loans are usually 5.5% or higher. For clues to the direction of mortgage rates, look at the daily movements in 10-year Treasury bond yields. Mortgage rates track Treasury yields with the difference between them holding fairly constant. These days, Treasury bonds have been on a jumpy uphill climb, with the 10-year hitting 2.21% on May 31, its highest closing since April 2012. On Thursday, the yield was about 2.10%. Since the interest rate on a 30-year is usually 1.7 to 2 percentage points higher, it indicates that mortgages should be at between 3.82% and 4.12% this week.